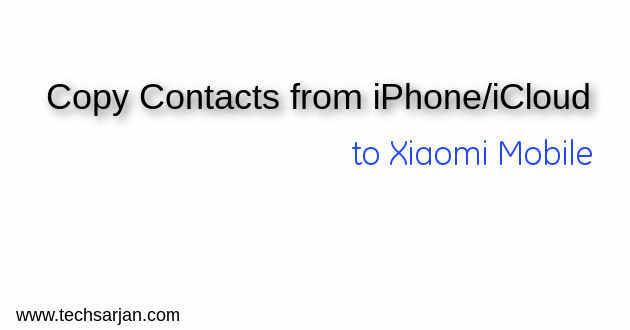 Hello Users, Today we talk about Contact transfer from iPhone to Xiaomi mobiles. If you an iPhone users and recently bought new Xiaomi mobile then definitely the first thing which you in new phone is your contacts. 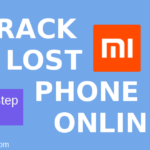 So here we tell you the easy way to transfer your contacts from iPhone to Xiaomi Phone. If your contacts stored on iCloud then don’t worry, We can also fetch data from iCloud easily and can easily copy in your Xiaomi mobile. 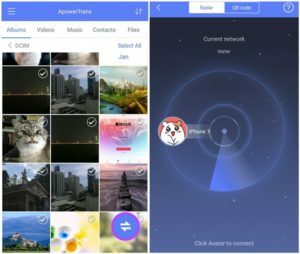 Here you get all possible ways to transfer your data like Contacts, Messages, Photos, notes, calendar events etc from iPhone to your Xiaomi mobile. The Data transfer way which we shared with you will work on all Xiaomi mobiles no matter which is Redmi 2, Redmi 3, Redmi 4, Redmi 5, Redmi 5A, Redmi Note 3, Redmi Note 4, Mi Mix, Mi MIx 2, Mi Max, Redmi 4A, Mi 5, MI 6 etc. All phones run on custom screen MIUI so the Contacts transfer from iPhone to Xiaomi phones are same for all Xiaomi devices. No matter which Redmi series mobile or Mi series mobile. 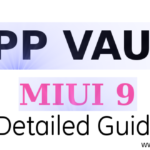 Here Your device may be running on MIUI 8 or MIUI 9 but the process is same for all MIUI version. There is no effect if your phone running on Android Marshmallow or Nougat or Oreo. Here we have two methods to transfer your iPhone contacts from iPhone to Xiaomi Android mobile. If both phones you have in your hands then you can transfer all your data like Contacts, messages, Photos, notes etc from your iPhone to Xiaomi mobile. This ApowerTrans App is freely available for both platforms. You can download this app from Google Play store and iTunes. There is no need to pay. This data transfer app is totally free. Just download the app from App store. Install the apps on both the devices. launch this data transfer app on both devices. now tap on the Transfer button which is available on the bottom screen. Now you will see a radar interface, please tap on iPhone avatar option and make a connection between these phones. Now slide to contacts tab on both phones. Choose all contacts on iPhone and now tap on Send button. Now your all contacts copied on your Xiaomi phone. you can also copy other files like photos, videos or any custom file like documents, ppts from your iPhone to Xiaomi Android mobile. 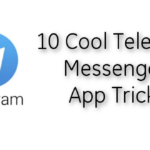 In this method, you are depended on a third party app. If you don’t want to use a third party app OR you don’t have your iPhone. You only have an iCloud account where your contact stored then don’t need to worry. We have another method for you to copy your data from iCloud to Xiaomi mobile. If you sold out your iPhone and now you need to back your contacts on your Xiaomi mobile. Then you can take help from iCloud contacts export facility. Here you need to export your contacts from iCloud and need t import via Google contacts or local import via Xiaomi mobile. First, open your web browser and type in address bar https://www.icloud.com/ and hit the enter button. Now login with your Apple id. Now go to contacts secton. Find out the export option and export all contacts. Here you can use Xiaomi mobile inbuilt contact import facility. First, move your exported file in phone storage. Just go to Settings-> System Apps-> Contacts-> Import Export Contacts -> Import from Storage. now locate your stored backup file which we download from iCloud and press OK. Now you see all iPhone contacts are copied in Xiaomi Android mobile. If you face any error then please go via second way which we described in below section. In this way, we take help of Google Contacts to copy our contacts from iCloud to Xiaomi mobile. Now you need a Gmail id which must be signed on Xiaomi mobile also. Open your browser and go to https://www.google.com/contacts/?hl=en website. Now login with your Gmail id. Here find a section Import Contacts in settings. Click on this option and navigate your downloaded file from iCloud. Now you see all contacts copied on Google Contacts. Now unlock your mobile go to Play store and download Google Contacts app and copy your contacts on the local phone. OR just enable Google Sync service your all contacts automatically showed in your contact book. You may also face some basic problems during contact exchange or contact updates in Xioami mobile. You may also face a duplicate contact problem because of this problem. Here we discuss some basic problem which faced by genral users. 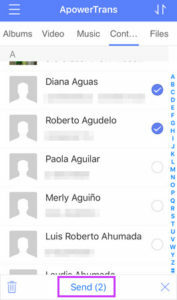 Problem: Contacts not showing on WhatsApp? Solution: This will happen because of app permission issue. Please read this guide solve this issue. 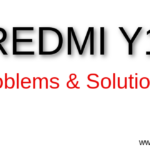 Problem: SIM Contacts not showing on Xiaomi Redmi Mobile? Solution: This will happen because of a by default setting where Xiaomi MIUI does not show contacts. 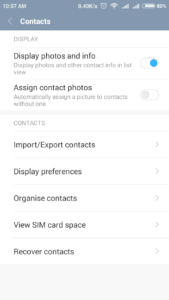 you need to enable show SIM Contacts from Contact settings. Follow this guide instruction to solve this issue. Problem: My Contacts showing duplicate entry? how to Solve? Solution: You may face this issue because of SIM Contacts and Phone contacts OR maybe you copied same content from SIM to the phone. So these duplicate entry showed on Contact book. Here you can merge this entry in single contact OR you can also hide duplicate entry from Phonebook. Just go to Settings-> System Apps-> Contacts. Here you get all option regarding contact merging and duplicate entry solution. Problem: Show wrong contact number on contacts. How to solve? Solution: In this problem, user contact name showed different user number details. Like A contact number shown on B Name and B Contact number are shown on A name. This is a varied situation. In this case, you need to delete all contacts from the phonebook and reimport all contacts in the proper way. If you still have any issue which you face during contact transfer or contact handling then please tell us via the comment section.